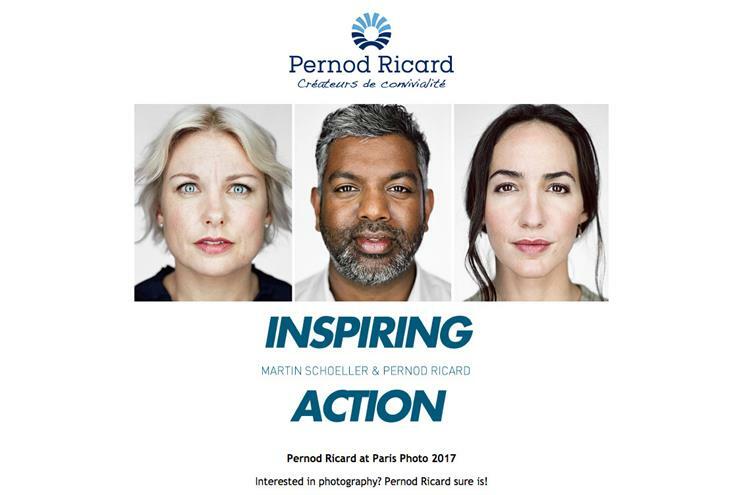 Pernod Ricard, which owns drinks brands Chivas Regal and Absolut Vodka, is working with renowned photographer Martin Schoeller for an art fair in Paris. Schoeller has created 18 portraits for the brand to exhibit at Paris Photo. Pernod Ricard is offering 1,000 free tickets for the event as well as a chance to win an image signed by the photographer. The event runs from 9 to 12 November and people can win tickets by entering through Pernod Ricard’s social channels or its website. Olivier Cavil, Pernod Ricard’s Communications Director, said: "Convivialité is all about sharing, so for us, the art experience only makes sense if shared. "This is why we decided to open up this major event to all photo fans, which also allows us to introduce our work to a greater audience. For 42 years now, we have given an artist or photographer carte blanche, with the only constraint of putting the group’s employees into the spotlight. "This year, we are honored to welcome Martin Schoeller, who has signed 18 particularly powerful portraits for us in the "close-up" style that has propelled him to fame."